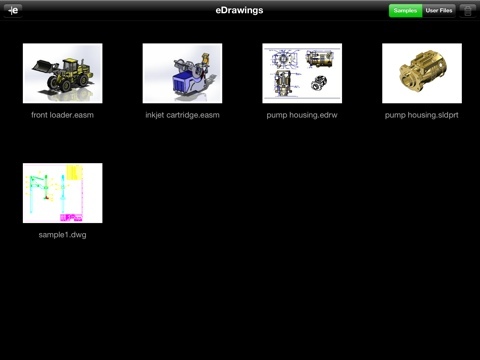 E-Drawings Viewer for iPad is now available from the App Store. I’ll have to admit that the first words out of my mouth when I saw this, were FINALLY! 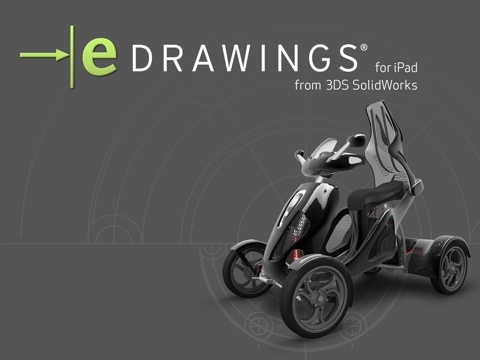 You can view SolidWorks Parts, Assemblies, & Drawings along with e-Drawing files, DXF/DWG, and Draftsight files. The software has a couple of sample files that you can browse to get the feel of the UI. Below is a few of those files. You can also bring your own files in under “User Files” which apparently stores the files on the device. The easiest way to receive file seems to be via e-mail, but I’ll investigate and report if there are other options as I get some time with the App. It seems to be a very capable viewer in that it allows you to EASILY rotate, zoom in/out, and pan the model. 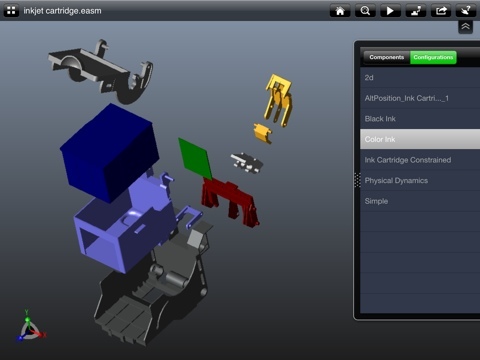 If the model has configurations, you can view them all through the pull-out browser located on the right side of the screen. 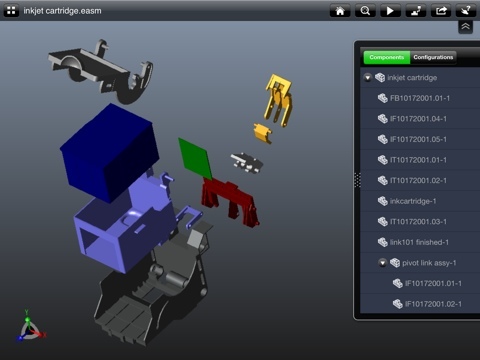 If the model contains any exploded views, those are also available through the viewer. All in all, this looks like a good first release of the viewer. I’ll have a more in depth review in the coming days. My ISP inconveniently went out tonight, so I’m typing this post up on……you guessed it….my iPad. Could find it in the app store – Link? Excellent information it is definitely. Friend on mine has been seeking this tips. You undoubtedly dug out a number of my memories. I remember getting the same experience.